SUNFRESH Cold Pressed Juices, your healthier choice! 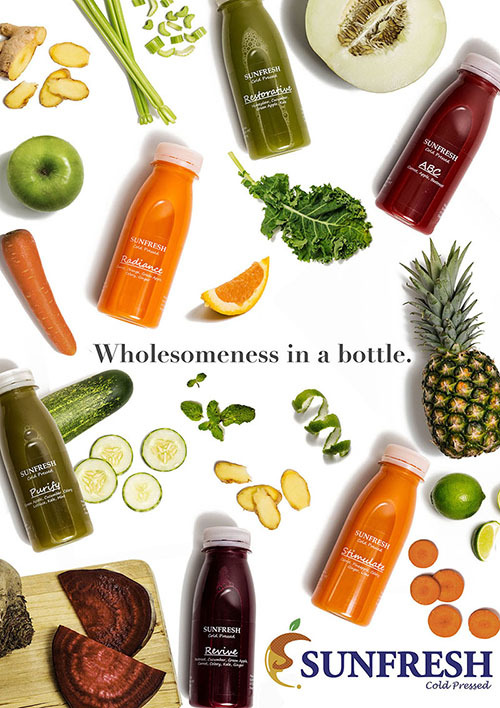 SUNFRESH started the cold-pressed juices with the experience in manufacturing fruit juices. Upon the customers’ request, the cold-pressed juices can be processed by HPP (High-Pressure Processing). The product is subjected to very high pressures for less than a few minutes, resulting in the inactivation of spoilage organisms, including yeast, mould and harmful pathogens, as well as the reduction of enzymatic activity. HPP leaves juices taste, colour and nutrition just like freshly squeezed. SUNFRESH supply those products processed by HPP as shelf life 21 days from delivery.